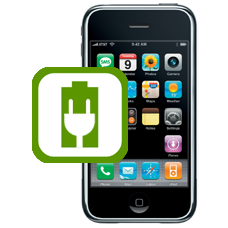 If your iPhone 3G is failing to sync / connect with iTunes, or is refusing to charge, maybe you can see that the pins on the iPhone 3G dock connector are broken, then it is likely that the dock connector socket has failed and will need to be replaced. Our expert iPhone 3G technicians will replace the dock connector with a brand new part. * Please check for availability prior to ordering the Express service, especially during holiday periods. If you choose not to opt for our Express Repair 24 Hour Fast Track Service our normal repair turnaround times are 3- 7 working days. We always aim to complete repairs as fast as possible. This is an in-house Apple iPhone 3G repair service, when ordering this service you are required to ship your iPhone into our repair centre for works to be undertaken.